I’ve been waiting for watermelon radishes to make an appearance in the farmers market. I used them for the first time as “crackers” for my veggie pâté and fell in love with them. 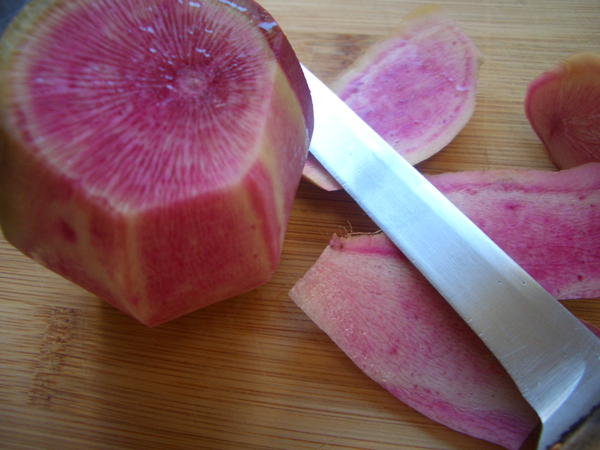 They’re much sweeter and less peppery than other radish varieties, and they’re just gorgeous. White and light green around the edges, hot pink in the middle… dressed with a light orange vinaigrette this makes a refreshing accompaniment to any meal. 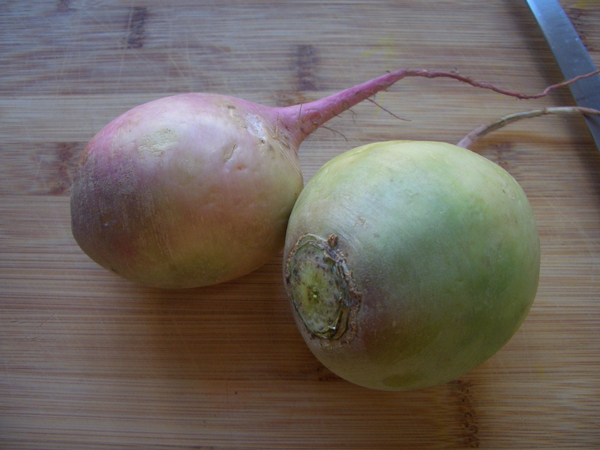 The number of radishes you use depends on how many people you want to feed. 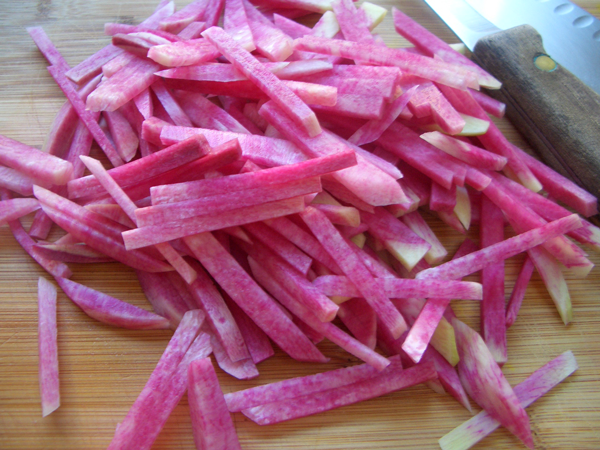 I used 2 medium radishes and it was enough for 4 small side salads. The dressing is enough for a larger salad. 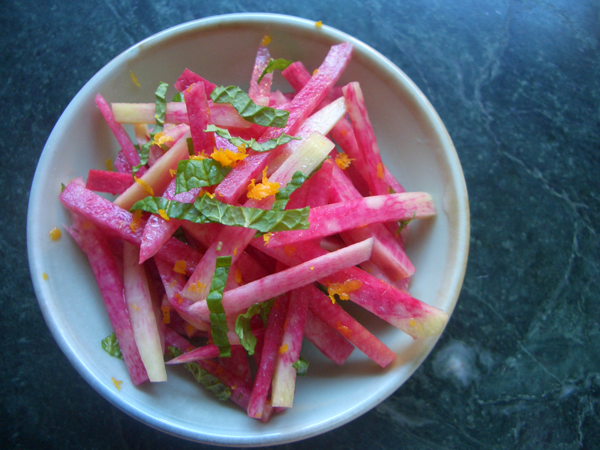 Whisk the oil and orange juice and toss with the radish. 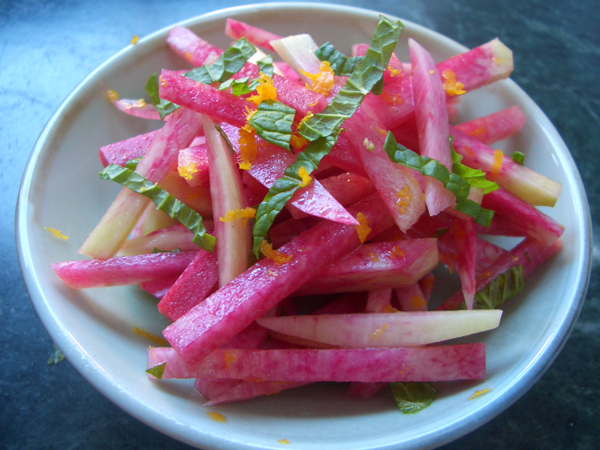 Reserve a little of the orange zest and mint for garnish, and add the rest to the dressed radish. Add the splash of vinegar. Taste and add more vinegar or salt and pepper if you like. Top with remaining zest and mint and serve.